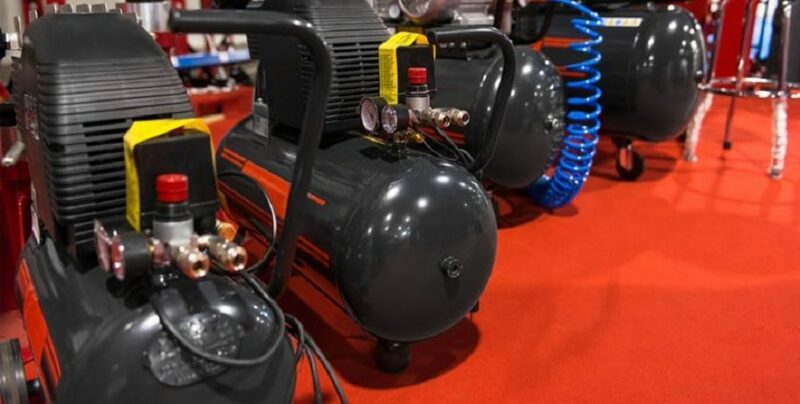 What to Consider When Purchasing Industrial Use Air Compressors | MAC-AIR Compressor Ltd. When purchasing an air compressor for industrial use, there are several factors to consider. You can get expert advice from the professionals at Mac-Air. First ask what size your compressor needs to be. It’s a huge disappointment to make a major purchase and discover it will not fit in the area you’ve designated. Air compressors have varying shapes and sizes. Apart from physical size, you will need to determine your needs regarding air tank capacity. The difference between a small and large air compressor is in capacity, not pressure. Pressure is measured in pressure per square inch (PSI). Capacity is measured by cubic feet per minute (CFM). Capacity is the volume/amount of air, and pressure measures the air’s power. There are two basic types of compressors: Reciprocating and Rotary air screw compressors. Reciprocating is the more common of the two, designed for small work suitable to smaller operations and hobbyists. They fit most anywhere and do not require much power. • Do I need constant, large amounts of air? • Will I be using various types of tools, both big and small? • Will several people use the compressor simultaneously? If you said yes to even one question, you likely need an industrial air compressor. The following is a list of the options available in an industrial compressor. Choose only what you need and save money. If these choices are confusing, Mac-Air Compressors Ltd. can help you understand the details and make the right selection. Please give us a call at (905) 458 1351 and we’ll get started.